Which apps are worth the money? Sometimes, you just want a little peace and quiet around your house. When you feel as if your head will pop off if you have to break up one more fight, you need to find a serious distraction. I’m one of those people that relies on apps for distraction. I load up my iTunes cards and blow through it in less than a week, just for the simple reason that I love apps and let’s face it, they entertain the kids. I buy books for the iBooks library, apps for productivity, and tons and tons of apps for my kids. I recently clicked buy on an app that I was sure my 2 year old would love, but it turns out he is having a hard time wrestling the iPad away from my 9 year old daughter. 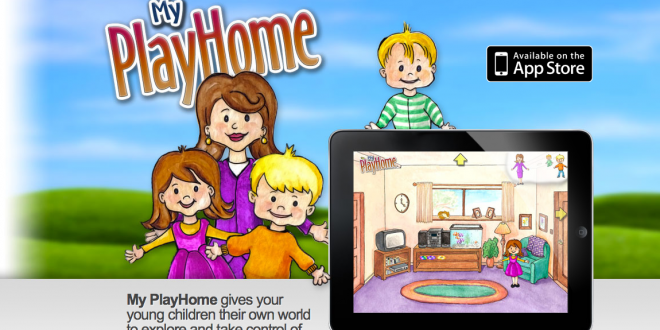 My PlayHome by Shimon Young is a cause and effect app that lets you do a walk through of a family home, and it is a popular one with all of my kids. 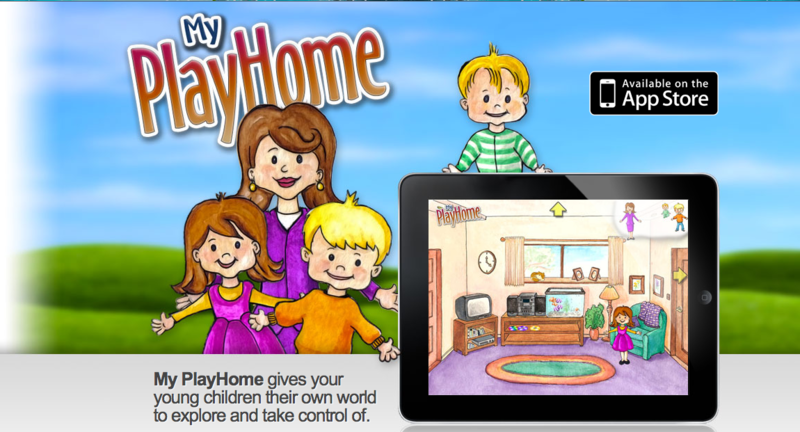 You enter in the living room, and begin exploring the various elements. Open and close the curtains for light and dark. Turn the TV on or leave it off, and use one of the many CD’s instead. Drag one of the family members into the room (you start off with the little girl) and watch them interact with the various objects. My 2 year old loved tapping on the virtual fish tank just as much as he loves smashing on the one in our living room. The kitchen is where this app really shines. My daughter spent an half and hour doing dishes, feeding the people, and figuring out the ins and outs of that kitchen. To her delight, you can use the oven or the stove to fry up the egg, and she actually squealed when she discovered that the people will chomp on apples and Popsicle. Entering the kids room, you can play basketball, blow bubbles, use play hats, or put them to bed at night. If they ever upgrade the app, they could add a change of clothes for the kids. Overall, this is a fantastic little app and well worth the few dollars I spent on it. I’d definitely recommend it to anyone with kids under the age of 10, as they will spend at least an hour or two figuring out the little secrets that the house has. Oh, and if you are wondering where the Dad is in this happy little house, I’m assuming he’s at work. Or in my case, avoiding the housework as much as possible. Teacher Tuesday…..Staying out of the rut…. Dad’s been busy but, Apple willing, he should be home next week. And he’s bought a new, flat screen TV for the living room to make up for his extended leave.